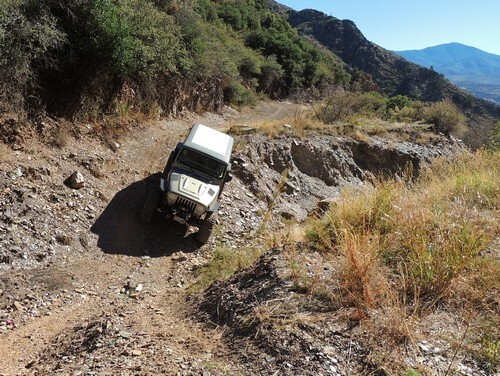 Take a fairly difficult Jeep trail to an abandoned mercury mine in the rugged Mazatal Mountains between Mesa and Payson. 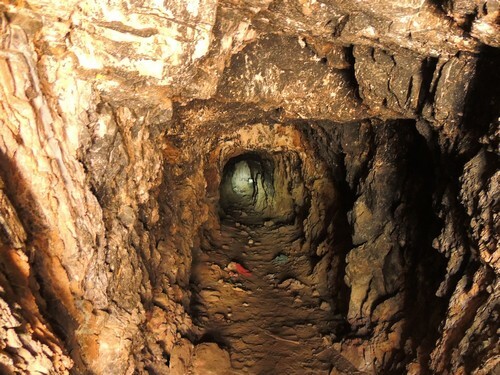 According to Ironminers.com the Sunflower Mine was discovered in 1911 by E.H. Bowman. 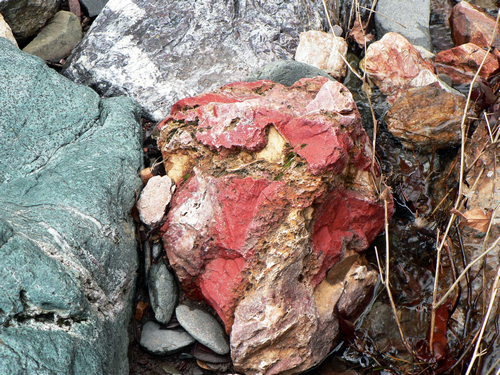 Intending to find gold, Bowman instead discovered a rich vein of cinnabar and malachite. An ore of mercury, cinnabar was used in the amalgamation of gold and an essential part of gold mining. 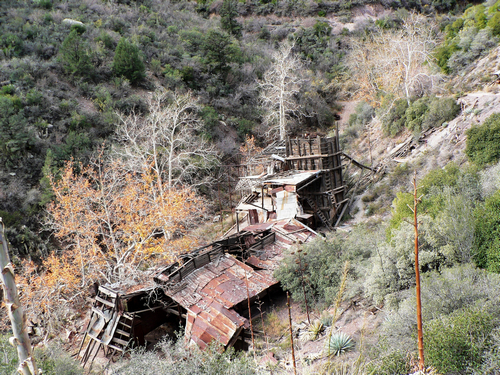 The mine was later purchased by the Sunflower Mining Company. A large processing facility was built onsite to break down the ore into mercury whereby it was shipped by wagon and later truck. A person that lived in the area at the time of closing told me that the employees simply got up and walked away in 1982. They left paperwork on desks, food in refrigerators and supplies in all areas. ​This trail had heavy erosion again in 2017. 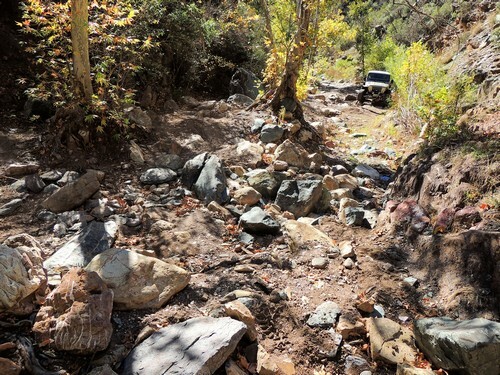 Several portions of the road washed out and the trail is now in the creek in these areas. 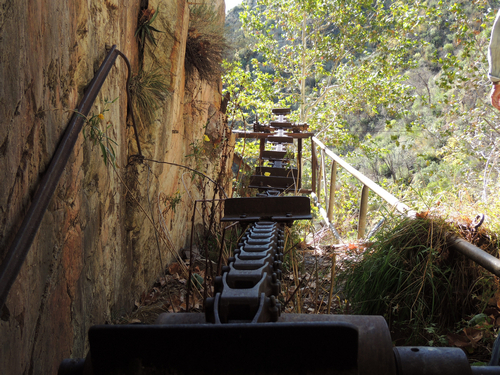 ​The section below the mine is somewhat easier than above the mine. We prefer to run in a clockwise direction, although it is possible to go either way. It works better if all groups go clockwise, as there are not many opportunities to pass. 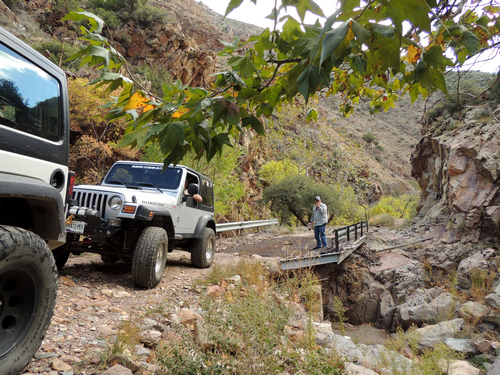 There is a bridge on the main trail into the mine that miraculously survived the flood of 2012. 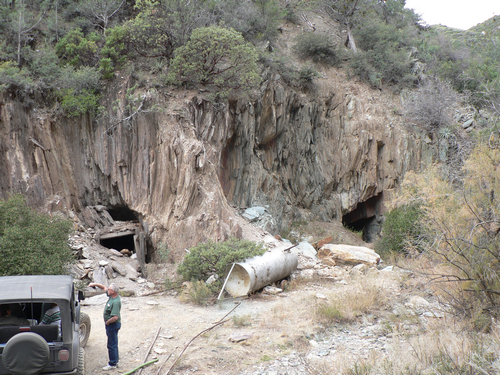 There is a small shaft at the mouth of the spur road leading to the processing plant. There was a refrigerator and a bed in it when we first did the trail in the mid 2000's. We were told it was living quarters for some of the office staff. The first photo shows what the processing plant looked like before it was cleaned up in the early 2010's. The second shows what is left. Ironminers.com said this was a blast furnace. Drive down to the site and then scramble down to look under the cement slab. It appears the unwanted or left-over material was dropped down to a conveyor chain and disposed of into the creek bed below. 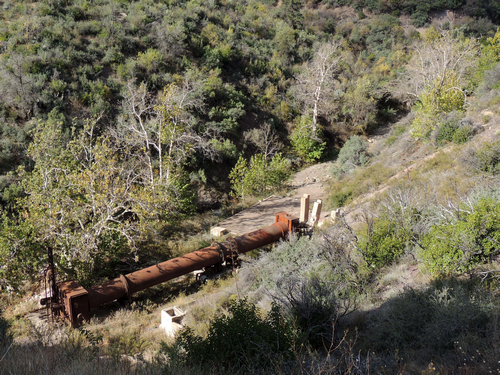 The main mines for the plant were located a short distance up the side creek. The road to the major ones washed out in the flood of 2012, but it is possible to cross the washout with a little caution. 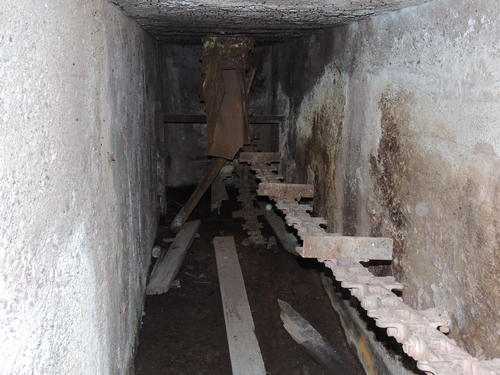 All mines were closed and vents were installed in the openings during the cleanup so they are not of great interest. 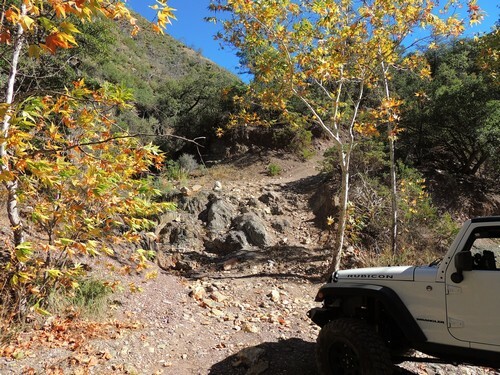 Return to the main trail, which gets more difficult as you drop down into the creek above the mine area. One spot shortly after leaving the mine area was getting dangerously narrow, with a ledge on one side and a crumbling bank high above the creek on the other. No need to worry about this any longer as it washed out completely in 2017. 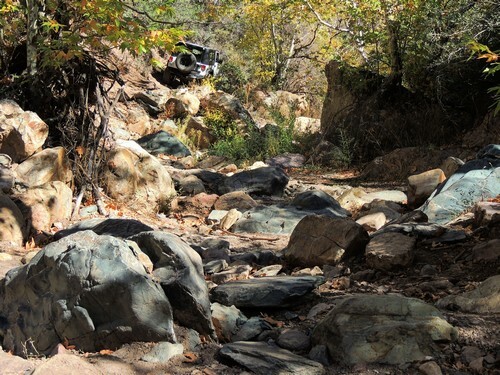 ​Now it is creek bottom and boulders. 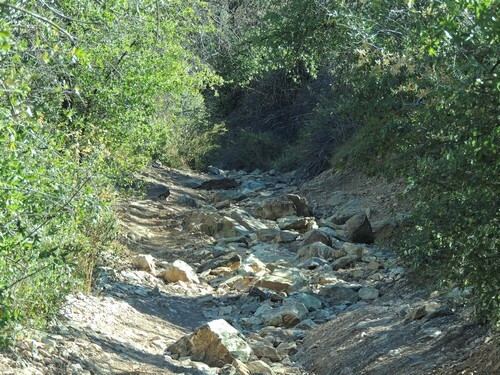 You are forced to stay in the creek for a while, then the trail briefly climbs out of the creek and onto a road. 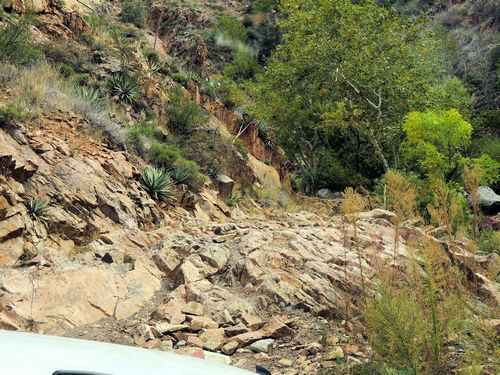 Some vehicles have continued in the bottom instead of using the road. After a bunch more boulders you will leave the creek altogether by climbing up a small ledge then traversing an eroded hill. 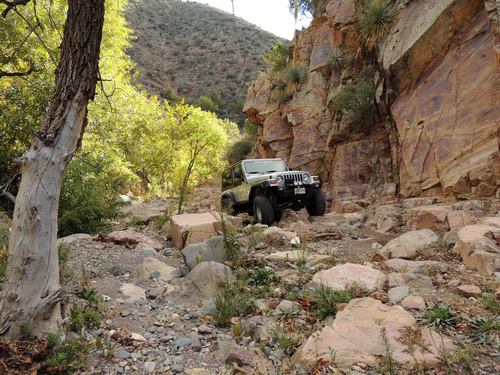 There is big open spot just before the climb where a number of vehicles can get off the trail. 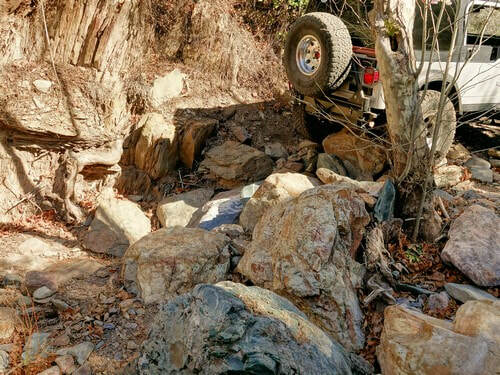 When we did this hill in March of 2016 we got within 200' of the top and found the trail blocked by a RZR on its top and nobody around. 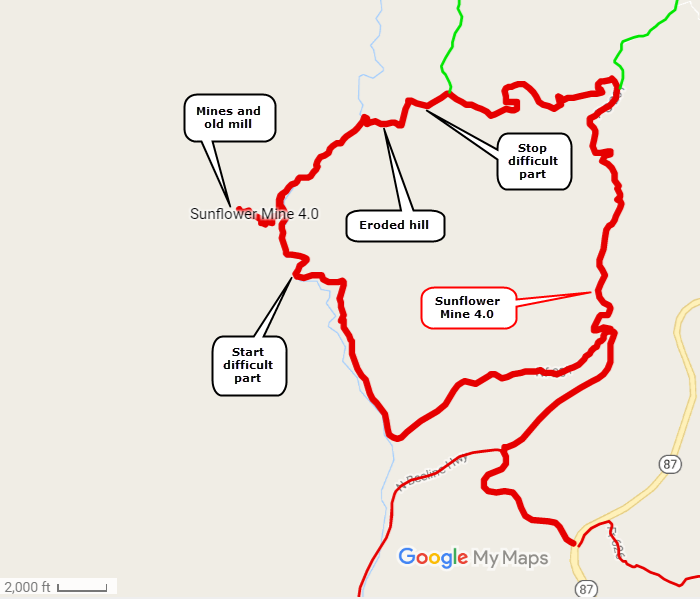 Narrow, deeply rutted trails are not a good place to turn around, especially when there is a snow/rain mix and the road surface is slippery mud. Looked like we would have to find a way to turn, then head back the way we came. We were preparing to turn around or back down when we spotted 3 men walking down from the top. One of them had been riding by himself the day before and had flipped over backwards. 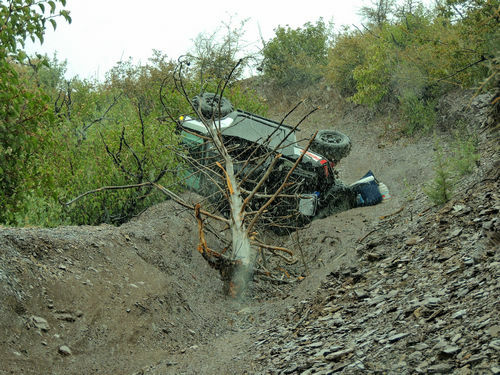 He could not upright the RZR so he walked 2.3 miles east to his truck and went home for the night. 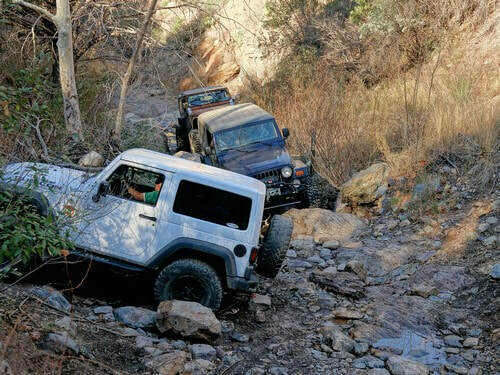 He could not find anyone with a Jeep to help him the next day, so he brought 2 grandsons back and they walked in the same 2.3 miles. They had nothing with them except a strap, so I am not sure they would have had any success. 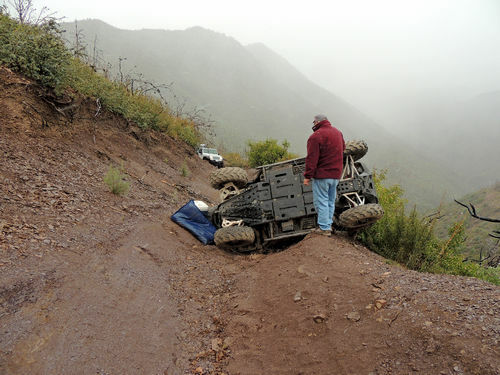 The group of us were able to get the RZR upright using our Jeep winch, and the 3 men drove off with profuse thanks to the crew.